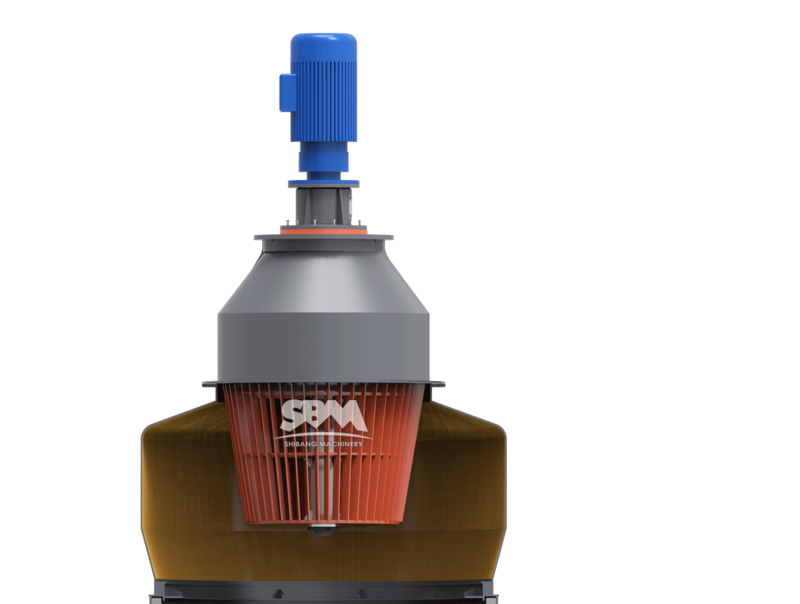 According to accumulation and experimental analyses of on-site product test data for more than thirty years, SBM has researched and developed the fifth-generation pendulous hanging grinding mill – MB5X pendulous hanging grinding mill with many invention patents. 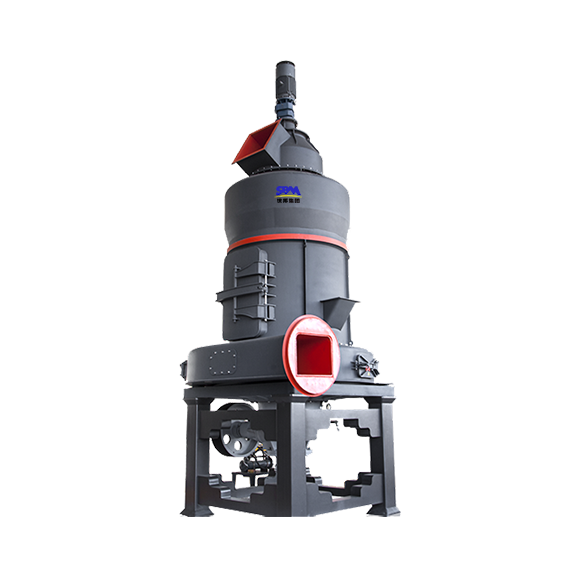 It represents the most advanced grinding processing technology at present, and its application of patent technology of brand-new structural design makes the equipment's operation and maintenance cost much lower, environmental protection performance more excellent and discharging quality much superior, thus it is the optimum choice for upgrading and updating. All non-combustible and non-explosive brittle mineral products whose Moh's hardness are below Grade 7 and water content below 6% could all be ground. In combination with large-diameter grinding roller design, the shovel blade cylinder structure is of higher grinding efficiency. 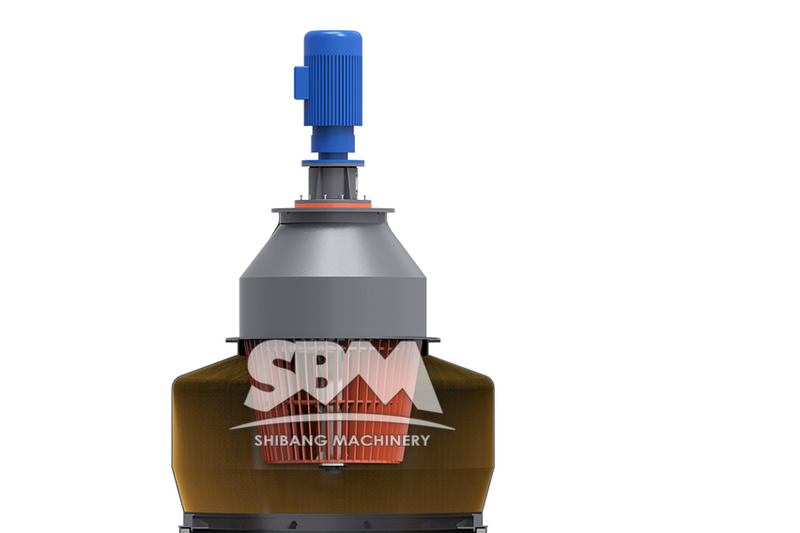 Since there is no shovel blade cylinder structure in the grinding chamber, whose ventilation area is larger and air-conveying resistance is smaller, and in combination with super-strong grinding force of large-diameter grinding roller, the grinding efficiency is improved directly. Volute elastic damping structure can effectively block vibrating damage of the host. 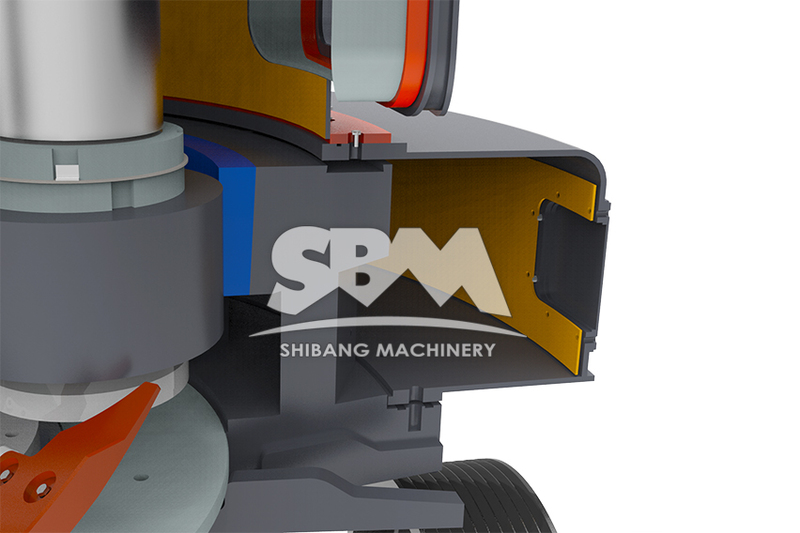 Between the volute and engine base, special elastic structure is applied, and in combination with setup of rubber shock pad, it could directly avoid influence of vibration of engine base on operating stability of powder concentrator, and completely eradicate the problem of shatter crack of volute and central engine due to vibration of engine base. Main shaft of host applies diluted self-lubricating system, which is full-automatic and labor-saving. 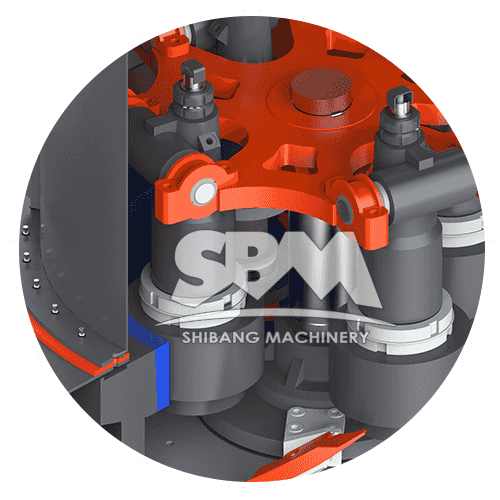 The main-shaft bearing, transmission-shaft bearing and gear engagement surface are all supplied with cyclic oil lubrication and heat dissipation by built-in oil pump with automatic operation ever without manual operation, which can timely and effectively ensure operating stability of the host. 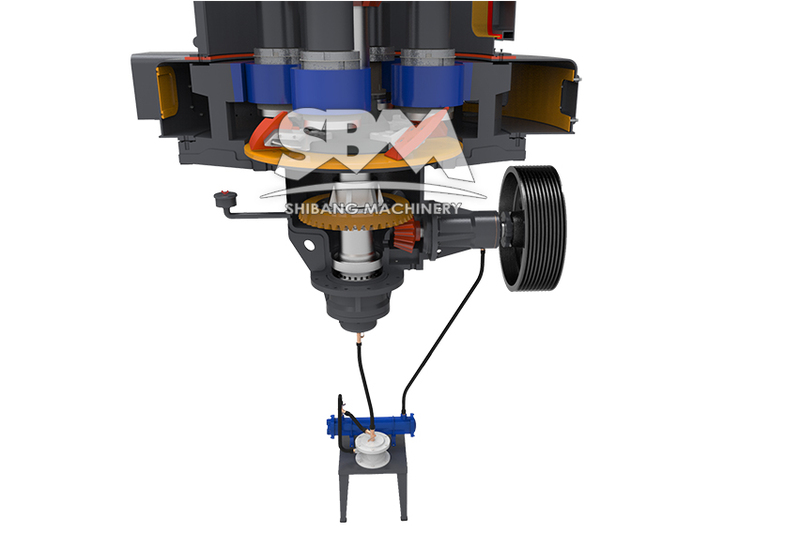 The host reducer is equipped with oil-temperature detecting system and heating unit, and it could operate automatically under low temperature according to set requirement, ensuring the host lubricating system operate in optimum status. 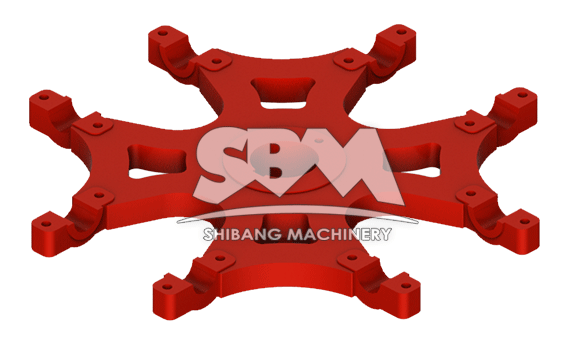 Grinding roller hanger applies unusual mesh design, which could effectively increase the ventilation area of the grinding chamber while ensuring strength of the hanger, and could directly improve material-conveying efficiency while lowering the windage. Powder concentrator applies low-resistance hanging cage powder concentrator, which is of narrow grain-size sorting, high sorting efficiency, low system energy consumption, and under condition of equal materials and fineness, it is of lower power consumption and higher productivity than blade-type powder concentrator. The main shaft and the grinding roller apply oil lubrication, which has greatly extend the oiling period without frequent manual maintenance, and has saved a great many of human cost, and is of high humanity degree. Integrated wear-proof shovel plate could improve the durable performance and lower use cost of quick-wear parts. 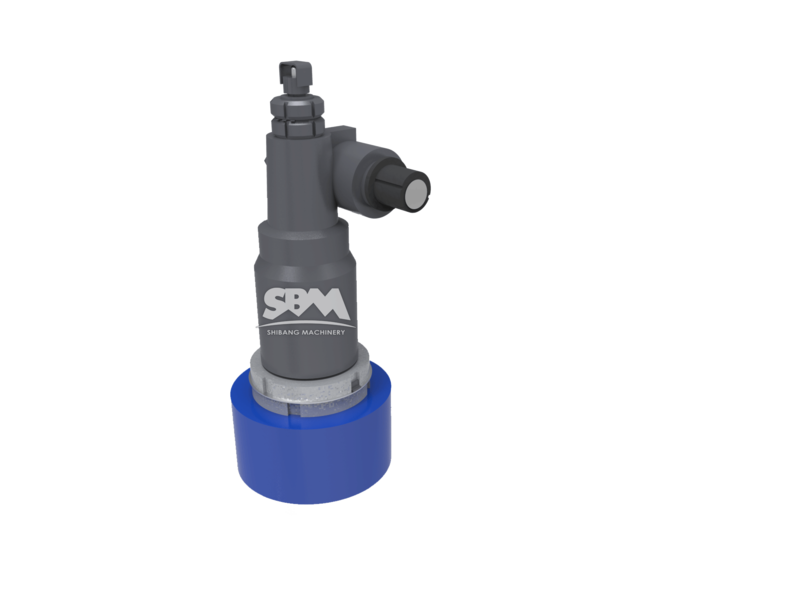 Air-intake volute is redesigned, applying wear-proof liner for fitting, which has directly improved service life of the volute in multiples. Transmission system of powder classifier applies concentrated and automatic lubricating system, and it could operate automatically according to system setup without shut-down and manual operation, which could greatly lower the downtime loss. 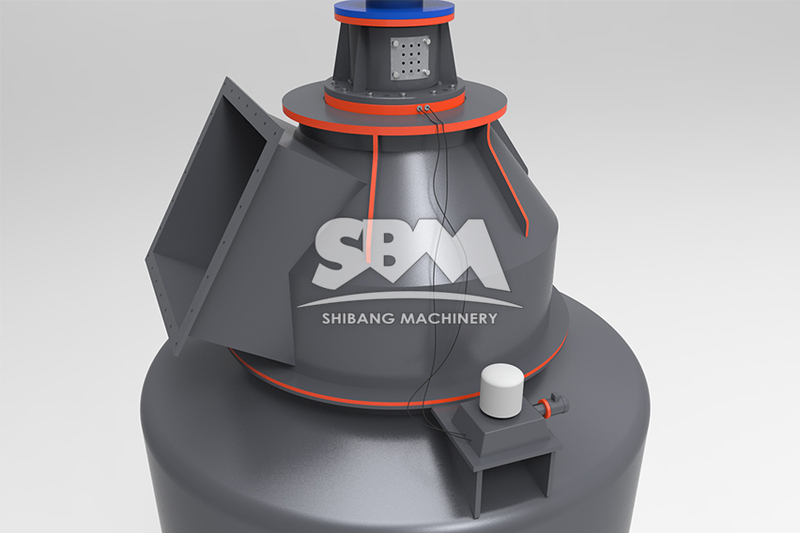 The use of large-diameter powder collector and bottom pneumatic wind lockage valve could effectively improve powder-collecting efficiency, and avoid powder-returning phenomenon; air intake of the powder collector applies wear-proof liner for fitting, which has directly improved the service life. 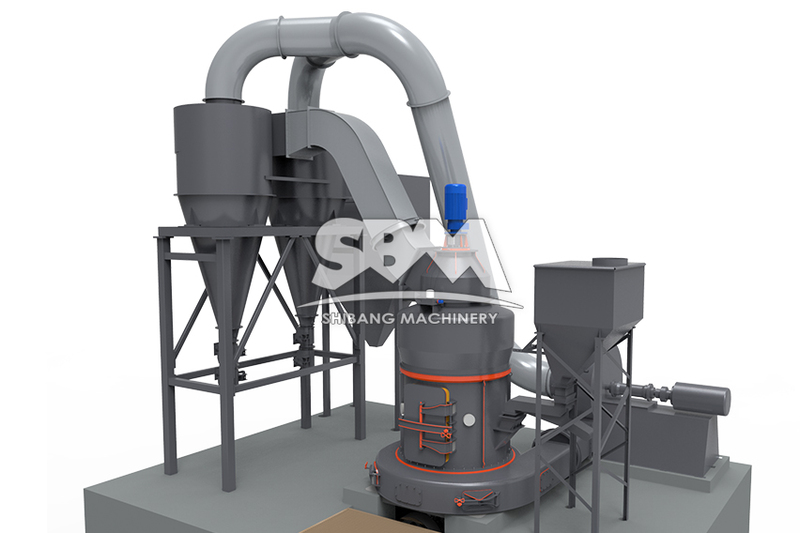 Between the powder classifier and the powder collector, square pipeline is applied, which is convenient for multiple choice of wear-proof materials, and at the same time, it could avoid windage phenomenon in the entrance of powder collector due to variable diameter of the square and the circular pipeline. Pulse dust collector is installed to remove ash via pneumatic force and operating automatically, which saves manual ash-removing operation, avoids powder pollution and is of excellent environmental protection effect. 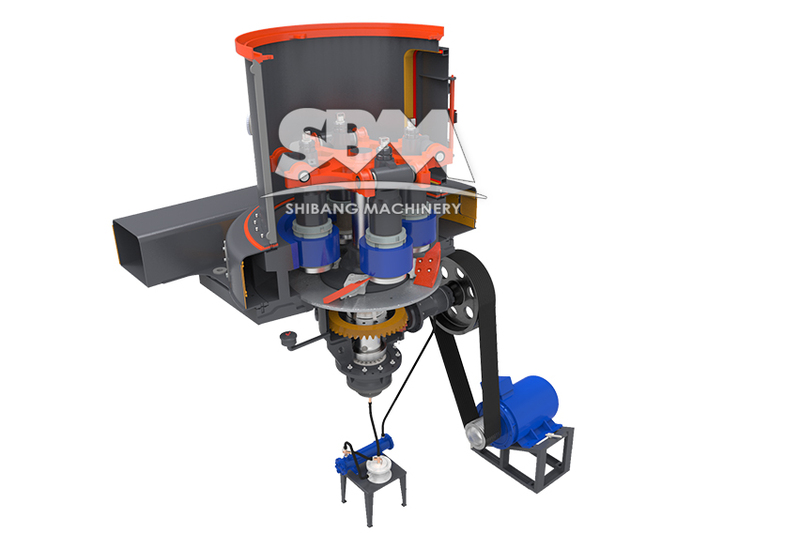 MB5X pendulous hanging grinding mill applies special dedicated fan, which is of reliable performance and minimum energy consumption, thus ensuring stable operation of wind force required by the system.